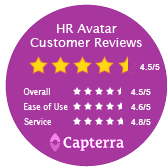 "We shifted to HR Avatar’s solution after using our current tools for years because HR Avatar is what we need today. The cutting-edge, engaging content and interface are what millennials are attracted to. The simulation component of the test is close to what they do at work. It is like a virtual assessment center!"